I never thought I’d say this, but I love Disney World! We took our first family vacation to Disney World back in December and I’m pretty sure I had way more fun than the kids! I’ve always heard people say that they love Disney and go every year and now I can totally see why! I am by no means an expert at Disney, but I want to share a few tips and tricks that I learned while I was planning for our trip and once we were inside the parks! I don’t think that we would have had nearly as much fun without our fast passes! At first, I didn’t understand what fast passes were! Here’s how they work! When you get to choose your fast passes is determined by where you stay during your trip! Initially, I wanted to stay at one of the Disney properties but after reading some reviews (we’re sort of hotel snobs), we decided on the Hilton Bonnet Creek! It’s still inside of the Walt Disney bubble and has shuttles to the park! It’s just not officially Disney! For us, that meant that we got to choose our fast passes 30 days out! We were going to Magic Kingdom on December 7th and Animal Kingdom on the 8th! We got to choose our fast passes on November 7th and 8th! Basically, you go onto the My Disney Experience app and choose your date and browse through the available ride times! It was so easy! We managed to get fast passes for all of the main rides that we wanted to ride on at Magic Kingdom and Animal Kingdom! There were only two rides that we didn’t get fast passes for and they were The Seven Dwarfs Mine Train and Avator Flight of Passage! Apparently, those are two of the most popular rides at Disney World! I’m a get up at the crack of dawn kind of person, so I made sure that we were inside of Magic Kingdom before the park opened for the day! Your fast passes will allow you to skip the standby line and enter into a faster fast pass line! We were able to walk right onto a lot of the kiddie rides without waiting and we probably waited about 15 minutes for Space Mountain! Arriving early plus our fast passes allowed us to ride everything that we wanted plus some rides that we didn’t really think about beforehand! And we even got to ride some of the roller coasters like Big Thunder Mountain and other rides more than once! This one was HUGE for our family! Our youngest, Kee, wasn’t able to ride the thrill and adult rides at Disney! This is where the rider swap comes in! Back to our fast passes! When I chose our fast passes, I would group us in two’s for each fast pass ride! For example, I might do a fast pass for Brian and Niya for Space Mountain, but not for myself and Addie! Then when we were at the parks, all we had to do was go up to the fast pass line and ask for a rider swap for myself and Addie! Brian and Niya got to go on the ride first while we waited with Kee! When they were done, then Brian would stay with Kee while Addie and I would ride! We basically did that over and over for most of the rides which allowed us to technically have more fast passes than the 3 they give you! It really only works if you have a child who can’t or doesn’t want to ride and it’s only on certain rides! One of the best pieces of advice that we received before our trip was to plan some down time! 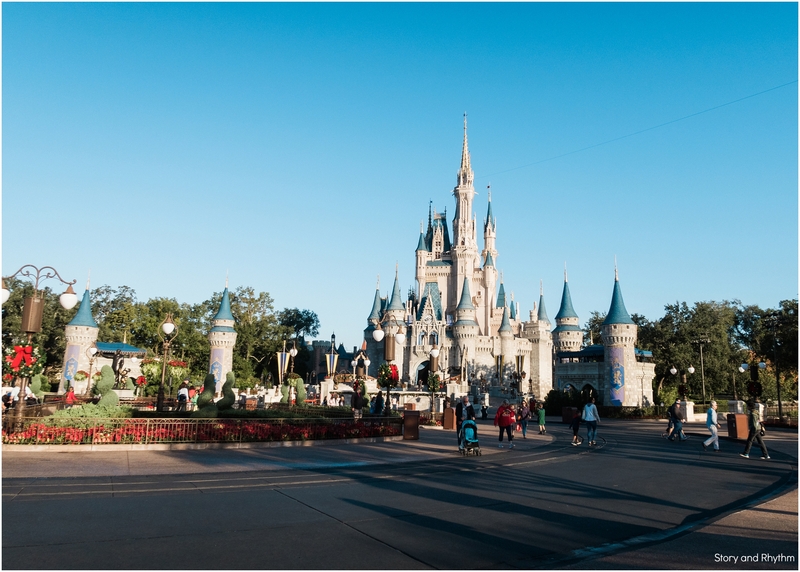 Disney vacations are very fast paced and it’s important to schedule some time to relax during your vacation! We decided that we’d relax by the pool on our first and last days in Orlando and even left Animal Kingdom a little early so that we could relax in the hotel on another day! It felt great to schedule in a little downtime in such a busy trip! We can’t wait until our next trip to Disney! If you have any tips on how to make your Disney vacation epic, leave it below!